For New Zealanders, A brief review of a new TV series on Prime, 7:30pm Friday. 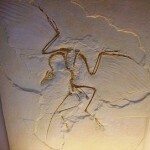 There’s 9 million fossils in the Natural History Museum, London. Just one of the factoids uttered during last weeks opening show of The Museum of Life. It’s an excellent show. An overflowing potpourri of items, just as crowded museum store rooms are. 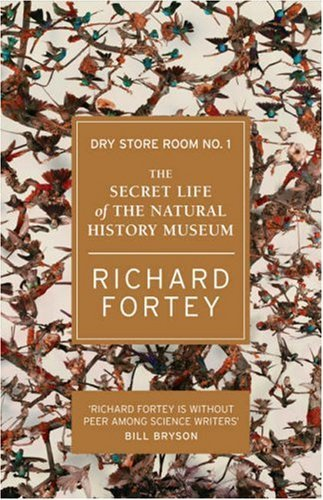 Early in the show it featured an interview of Richard Fortey, who locates and shows off Dry Store Room No. 1 featured in his book of the same name. If the first episode is anything to go by, it’ll be well worthwhile tuning into this. The Earthworm Society of Britain is the quintessence of British eccentric pursuits? A worm-charming competition/experiment featured. Museum = place to muse/think (from seat or house of the muses). An on-the-ground segment looks at project to re-introduce giant turtles to aid dispersal of seeds at Mauritius. One very nervous presenter features in a segment making a mould from the ‘type’ fossil of Archaeopteryx. Another segment looks at the re-emergence of mosquitos in England, and a study testing if they might carry malaria. [My notes have a remark saying that the mosquitos might have picked up the Plasmodium that causes malaria from travellers arriving into England. A sort of reverse infection.] There’s a neat piece of advice for travellers: you can tell if mosquitos are those that carry malaria (Anopeles) by noting if they rest on the surface at a 45% angle. Fortey says ’Never throw anything away.’ Now, that’s a collector’s motto. Sorry, readers, for not alerting you to this program sooner. I’d say it’s one of the few series currently worth watching on television. My only quibble thus far is that I’m not entirely sure about the main presenter, but fortunately the content dominates by far and other presenters take the reins for different sections of the story. It has already aired in Australia and I can highly recommend the series. An excellent glimpse into the scientists and work behind the exhibits. Thanks, Elizabeth. Itâ€™s good to hear that Iâ€™m not the only one who thinks itâ€™s a good series!